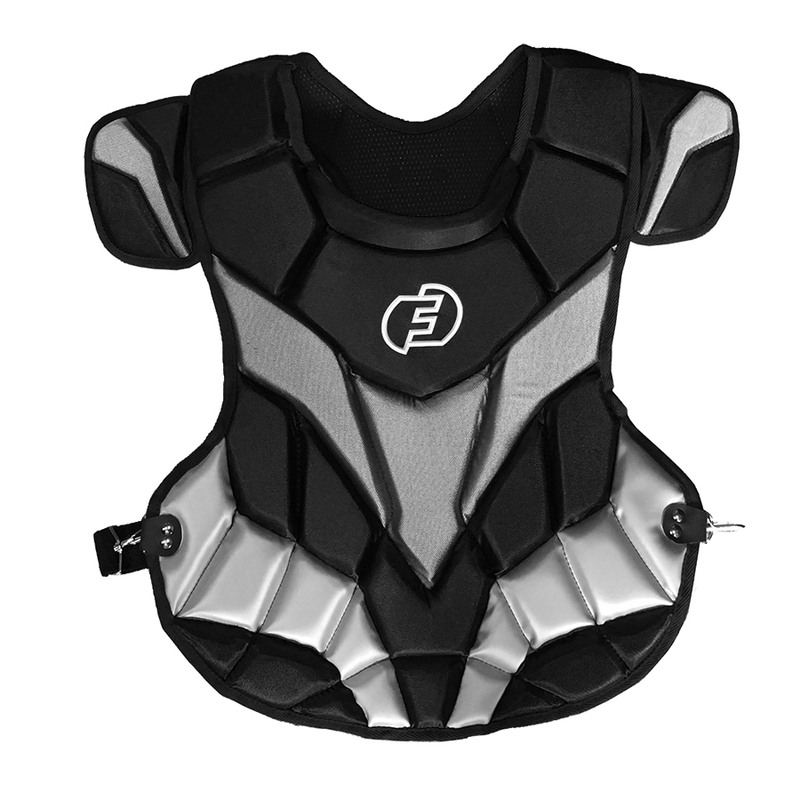 Chest Protector with High Impact, Military-Grade Force Disbursing Aramid Fiber Under “F3” Logo in Main Chest Area. Dual Performance Comfort Padding Construction with High Impact Memory Foam For Maximum Protection. Removable and adjustable shoulder protection for custom fit. Fully adjustable and replaceable 3-point harness on back. Special airflow backing keeps cool when hot. Same style as worn in professional baseball. Extremely protective while lightweight enhancing mobility. Available in Adult Black, Red and Royal. Youth Black only.